As you walk in the front door of our house, the office is to your right. This picture is taken from the front door entry way. 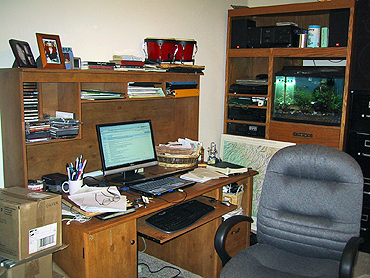 Duke's desk is on the opposite wall of the office from mine. We have only lived in our house for three months so I am still getting organized.